During the 2018 Mars dust storm, we obtained a clear view of the summit of the giant volcano Elysium Mons. 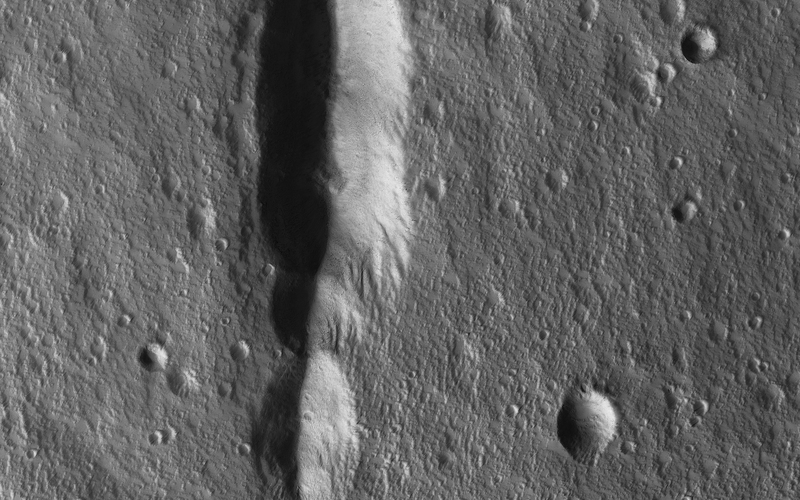 We see the western rim and floor of the caldera, and a chain of pits (called a “catena”) extending from the caldera towards the north. 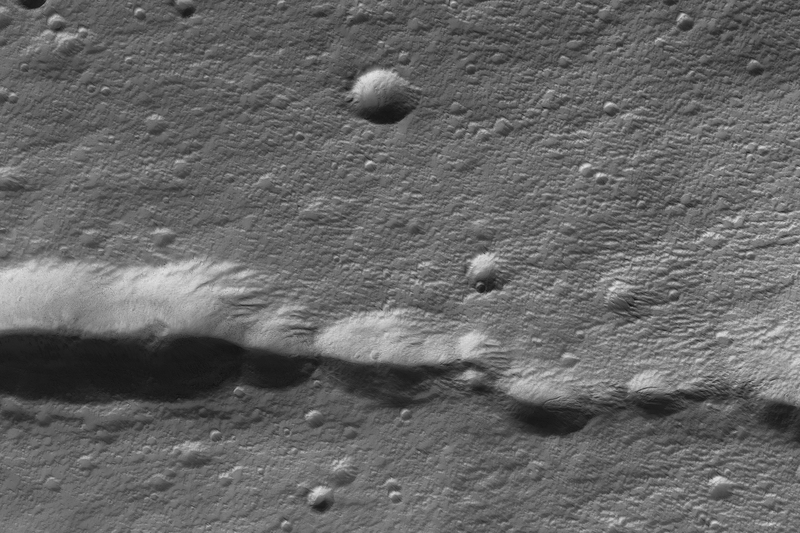 The chain of pits likely formed by volcanic processes, such as the collapse of a lava tube after it drained. Or by a tectonic process, such as a rift in the rocks below that drained loose material from the surface. An unexpected feature of this catena is the presence of avalanches in two of the pits (marked A and B in the cutout, with the uphill direction towards the top of the image.) The flows in both pits could be ancient, produced during the formation of the catena, but they are not found in the other pits in the chain. 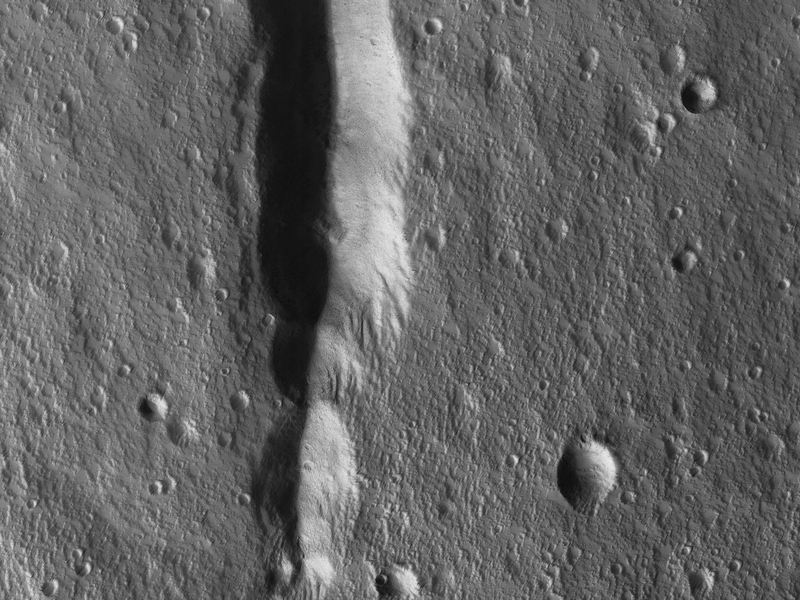 They might have formed more recently by the collapse of steep dust deposits like those in a degraded crater to the left of the catena (marked C).